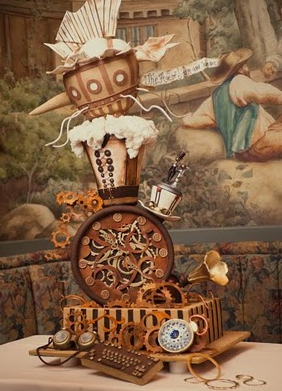 The details and color of this first cake, make it my perfect fantasy steampunk cake! 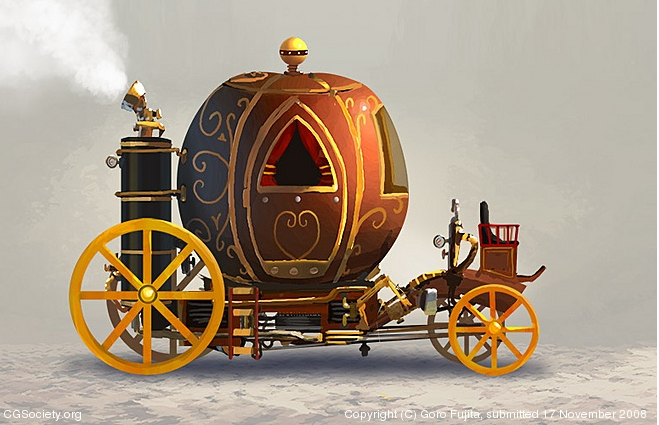 The cake was created by Christopher Garren's Let Them Eat Cake . 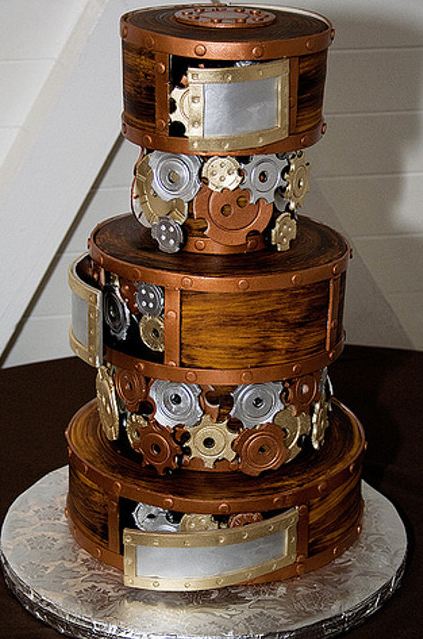 I found it on Cake Wrecks along with some more awesome Steampunk Cakes. This isn't a cake, but I think it could be made into a really cool one if you just made the top of the coach out of cake, bottom out of foam to hold the shape and just build the carriage...you'd end up with something amazing!